Made to support Phylliss Tuckwell Hospice in Farnham Surrey, the quilt hung in pride of place at our Exhibition in April 2012, before going to a very lucky winner. 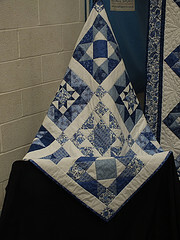 The quilt was designed and long-arm quilted by Yvette Ness, www.needle-and-thread-online.co.uk Yvette also co-ordinated the group sewing sessions. Willing patch-workers gathered at Needle and Thread in Horsell on 3 Sundays to sew the quilt, a great time was had by all and a vast amount of cake was consumed. On 18th July 2012, at our AGM evening, we presented £1000 to Phyliss Tuckwell Hospice. 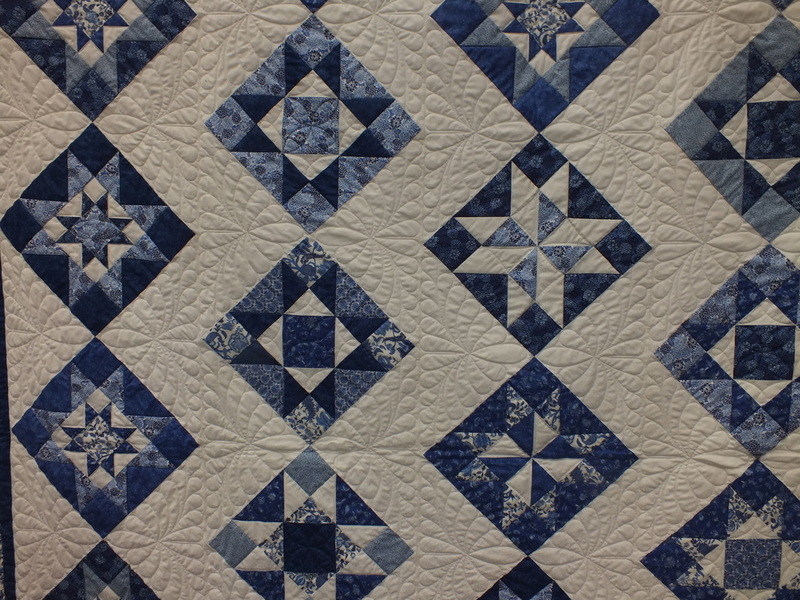 We felt very proud that our quilt had raised such an amount. Well done and thank you to everyone involved in making the quilt, selling the tickets and of course to all who bought the tickets. 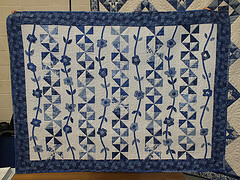 2nd Prize lap quilt - using additional blocks, made by Yvette. 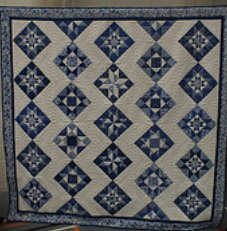 3rd Prize lap quilt made with cut-offs. A challenge for Julia!